Technical Consultation on AU Continental Teacher Mobility, Motivation and Qualification Framework and Teacher Prize. The African Union commissioner also noted that the status accorded to teachers has been on the decline over recent years and there is need for speedy implementation of the Continental Education Strategy for Africa (CESA16-25); a strategy for reorienting Africa’s education and training systems. Dr. Yumiko Yokozeki, Director of UNESCO International Institute for Capacity Building in Africa (IICBA), emphasized the need to develop, motivate and support teachers in Africa. “UNESCO IICBA has a very important mandate of promoting and developing teachers in Africa and we will collaborate with the African Union, department of Human Resource and Science Technology to address the issue of professionalization, quality of teachers training and welfare” she said. 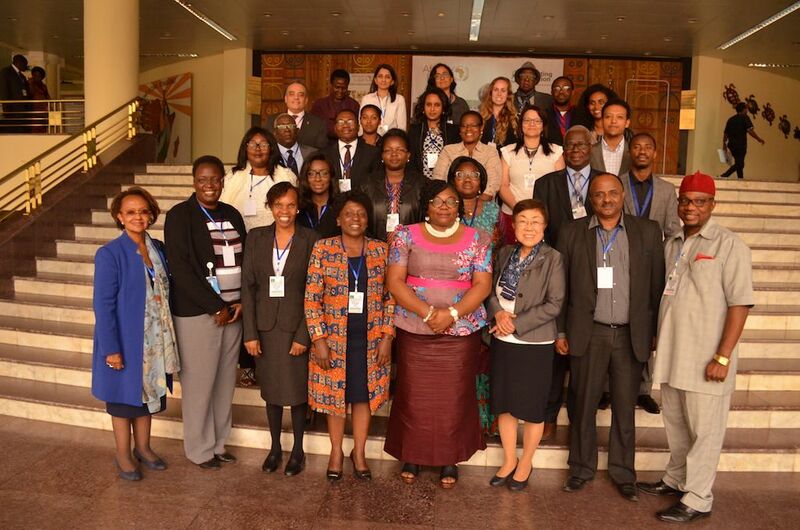 The two-day technical meeting was attended by representatives from AUC Human Resources Science and Technology department, senior education officials from Bureau of STC-Est2 and Committee of Ten Heads of State, officials from UNESCO IICBA and key stakeholders in the education sector across the continent.